The healing powers of cannabis have been known in many cultures across the globe since the beginning of time. Today, top scientists are researching and discovering new and life changing effects of medicinal marijuana every day. Here are 4 you may not know about! 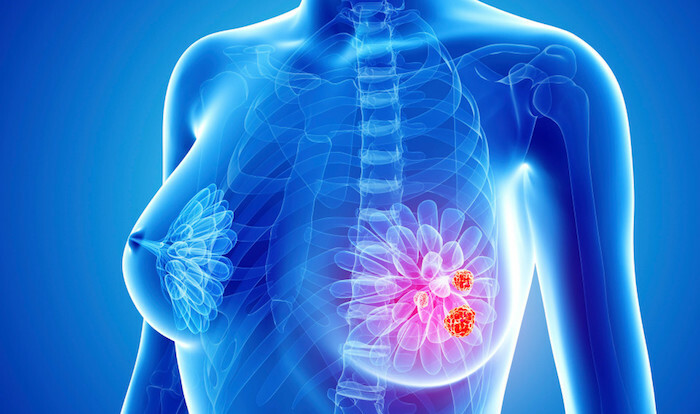 Recent studies have found that cannabidiol (CBD) one of cannabis’ non-psychoactive compounds, inhibits a gene that spreads breast cancer cells throughout the body. These results are not found in patients merely “smoking weed” but from highly concentrated medically administered doses of CBD. These findings support the idea that cannabis can be used to treat multiple forms of cancer without the toxic damage and painful effects of alternative treatments such as chemotherapy. Scientists have found that cannabis are as effective as prescription drugs Adderall and Ritalin in treating ADHD. The cannabis allows the patient’s brain to concentrate on one or two impulses instead of being overwhelmed by hundreds. This slowing down of neural transmission speed leads to increased productivity and focus. Cannabis is also much easier on the body than prescribed pharmaceutical drugs and does not interfere with a healthy appetite and steady sleep schedule. 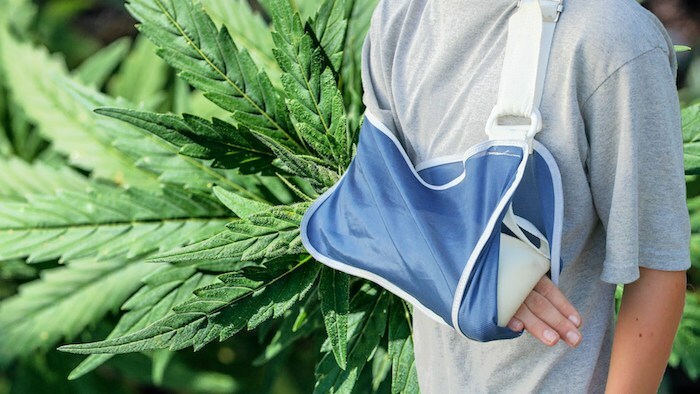 A study has shown that high concentrated doses of cannabinol heals broken bones and actually makes the bones stronger and harder to break in the future. 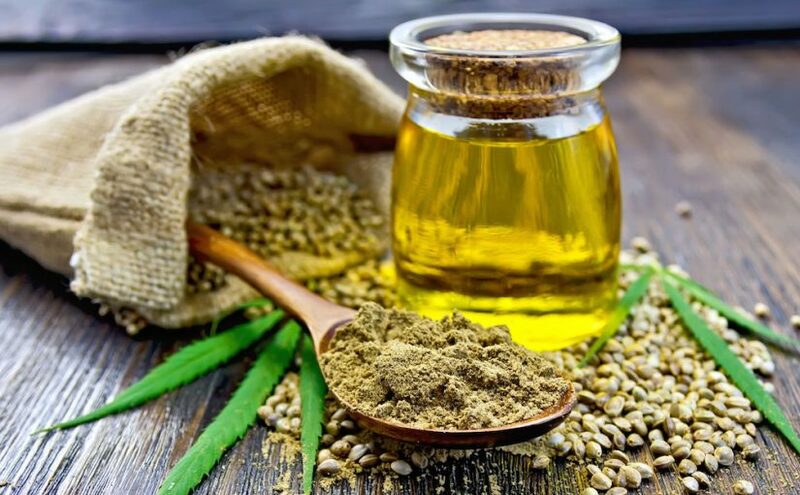 Collagen, the protein in connective tissue that holds the body together, is enhanced by the CBD. THC or tetrahydrocannabinol, the chemical responsible for most of marijuana’s psychological effects and CBD are actually extremely powerful naturally occurring antioxidants. THC and CBD work together to help treat “oxidative damage” which occurs when our body is exposed to harmful chemicals found in contaminants like pesticides or smog. These cannabis compounds also help your body’s cells function better by stimulating cell-to-cell communication. 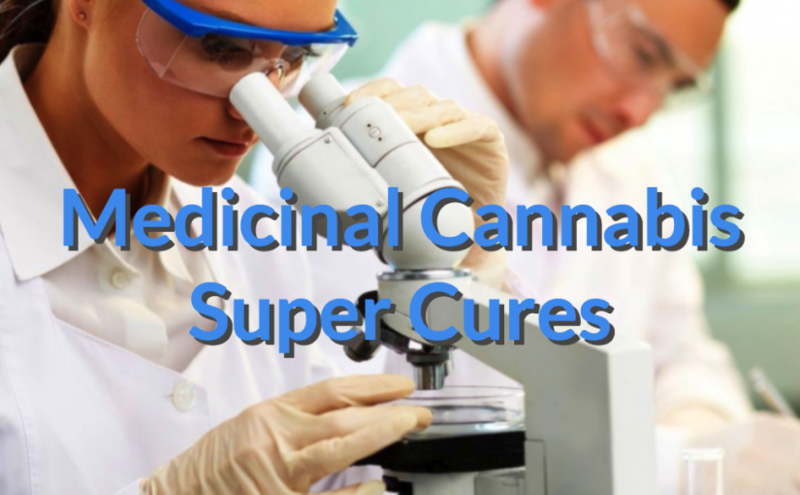 With more and more studies happening all over the world, each day we get closer to fully understanding the benefits and cures of this medicinal miracle plant. If you’ve done any research on medical marijuana or visited a dispensary in the state of California, you’ve probably noticed the overwhelming number of types of marijuana to choose from. If you are at a dispensary with good customer service, the employees can help guide you to a strain that is best suited for your specific ailment. However, it’s always good to have some knowledge prior to your dispensary visit. 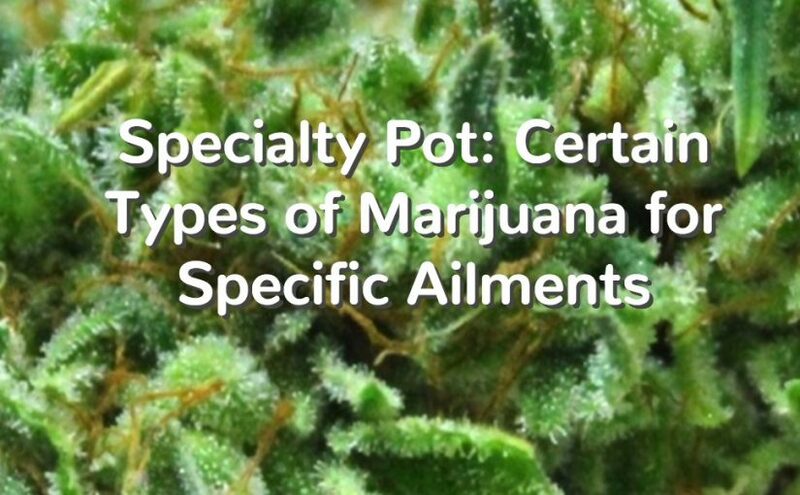 Here is a primer on different types of medical marijuana and some examples of strains for specific ailments. 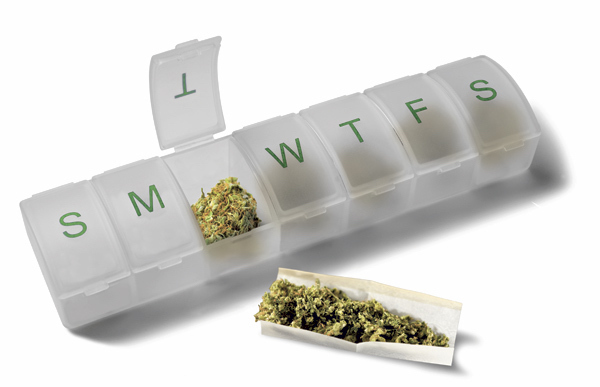 Medical marijuana includes two different species called Sativa and Indica. Breeding and cross-breeding these plants results in marijuana that has different concentrations of CBD (the non psychoactive portion of marijuana) and THC (the psychoactive portion that gives you a ‘high’). In general, Indica strains are better for pain relief while Sativa tends to work better for relaxation. Finding the right combination of the two is usually the key to choosing an effective strain. Here are some examples of specific strains and what they are best known for treating. The Avidekel strain was created specifically for the medical marijuana market and comes from Israel, where recreational marijuana is not legal. This is a high-CBD Indica strain with a THC content of only 1% and a CBD content of 15-20 %. This is a strain great for nighttime use and is effective for pain relief and insomnia. Other strains that work well on these ailments are Northern Lights and Afghani #1. Charlotte’s Web was named after a young girl with a rare form of epilepsy that caused hundreds of seizures a month. Charlotte had tried numerous pharmaceutical treatments without any relief before turning to medical marijuana. The strain she used is a special high-CBD strain with 20% CBD and less than 0.5% of THC. During her first week using Charlotte’s Web, her seizures dropped from double digits to only two. Those with seizure disorders have also found relief with White Widow, a combination of South Indian Indica and South American Sativa, and Green Crack which is known for its ability to help patients focus. High in THC (up to 24%), Girl Scout Cookies is favored by those suffering from intense pain from migraines, back injuries, or other chronic conditions. A Sativa-dominant hybrid, Girl Scout Cookies has an energizing as well as pain-reducing effect. Migraine sufferers also find relief with White Gold, Super Lemon Haze, and OG Kush, which is commonly available and has a powerful sedative effect. With a unique 1:1 ratio of CBD to THC, One to One is practical for a wide range of ailments but is especially effective for for those with muscle spasms. Providing consistent results, this is a good choice for those who cannot gain access to the pharmaceutical drug Sativex, which also has a 1:1 ratio of CBD to THC. Those who suffer from debilitating muscle spasms also experience relief from White Widow, Black Domina, and Apollo 11. 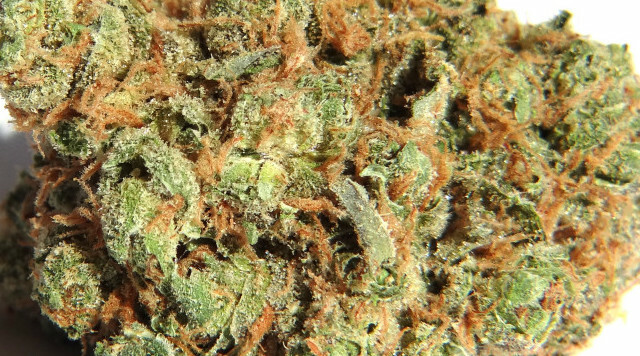 A potent Indica strain, Afghan Kush has a THC content of 20% and is excellent for treating insomnia. This strain knocks out those who can’t sleep quickly and effectively, so it’s not a good choice for those who need to remain alert or awake for any reason. Those who have sleep disorders also use Northern Lights and Granddaddy Purple, which has high level of the sleep-inducing terpene myrcene. It’s important to understand that Indica strains tend to induce sleepiness and relaxation while Sativa strains have more of an upper effect. You might also want to look for aged buds instead of fresh as they also tend to have more sedative properties. If you suffer from mental health issues such as anxiety and depression, the 5:2 ratio of CBD to THC in the Harlequin strain might be right for you. Strains that have a high level of the limonene terpene are popular mood elevators, so Sativa strain Jack Herrer and hybrid Pineapple Express are also good choices. Nausea can be debilitating, especially if it’s associated with chemotherapy treatments or an underlying disease. Medical marijuana has long been known as an effective medicine for nausea that features few of the negative side effects that traditional prescription medications have. 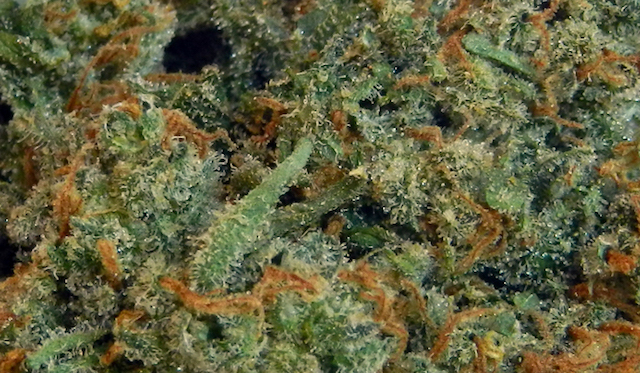 Durban Poison, with its high THC content of 25%, is well-known for knocking out nausea while producing a euphoric high. Dutch Haze, Kandy Kush, and OG Kush, the perfect strain for evening use and widely used by those suffering from diseases that cause nausea and vomiting. Cannabinoid receptors in the eye react well with both THC and CBD to reduce the pain and discomfort associated with glaucoma as well as reducing eye pressure. Maui Waui is currently the most common strain used for those with glaucoma. Developed out of volcanic soil, this Sativa strain is good for those who have not yet tried medical marijuana as it has mild euphoric effects while still alleviating symptoms. Indica strain Pluto and hybrid Headband are also good choices for those who want a relaxing effect paired with the pain-killing and pressure-reduction. Researchers have discovered that medical marijuana is especially effective in treating numerous types of arthritis. THC and CBD reduce inflammation and pain by activating CB2 receptor pathways. Medical marijuana is also a powerful antioxidant and neuroprotectant. The low THC and high CBD content of Cannatonic produces a mellow high that those with arthritis. The Indica strain Purple Kush and hybrid Big Bud are also good choices for those with muscle and joint pain. Medical marijuana, including the strains above, is legal in the state of California with a state-issued ID card. The ID card allows you to visit any dispensary in the state and legally purchase your medical marijuana. It also permits you to grow your own medical marijuana for personal use. Fortunately, getting a medical marijuana ID card is as easy as visiting a legitimate online medical marijuana doctor and consulting with one of their board-licensed physicians. If you have questions about obtaining your ID card or how medical marijuana can treat your specific ailment, please contact us. 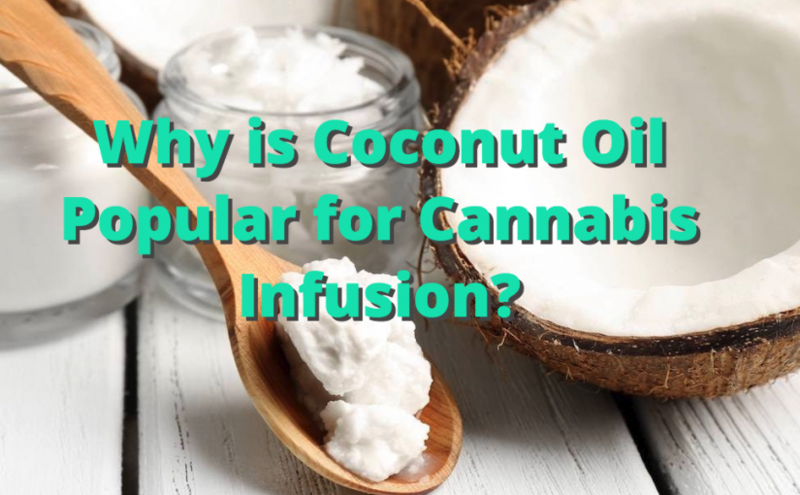 Why is Coconut Oil Popular for Cannabis Infusion? What do a medicated sipping cocoa, a THC-infused sensual oil-based spray, and a line of body care products all have in common? Besides being among the most sought after products in the cannabis market today, all of these innovations incorporate the same basic ingredient: coconut oil. Coconut oil has managed to infuse its way into some of our industry’s most sought-after products, including edibles and topicals, but why? The reason can be attributed to a few important factors. First, coconut oil has among the highest concentration of fatty acids (saturated fats). The surplus of these fatty acids in the coconut oil create a stronger binding agent for cannabinoids. Compared to olive oil, which contains a saturated fat content of less than 20%, coconut oil contains over 80% saturated fats and thus has the ability to retain far more cannabinoids during extractions, rendering far more medicinally efficient products in return. Coconut oil, therefore, is a near perfect medium for cannabis. Coconut oil also contains other sets of beneficial acids that have been known to have a list of potential health benefits. Lauric acid is a great example — when digested, lauric acid creates a monoglyceride that acts as an antimicrobial. These fatty acids are found in abundance in coconut oil, making it a top contender for those looking for a healthier oil base than butter or canola oil. Another fantastic benefit of using coconut oil is that when you use it to extract cannabinoids, your end product will remain solid at room temperature. The versatility of a cannabis-infused product that remains solid at room temperature is paramount when considering its use as a topical agent. Furthermore, its solid state allows the oil to be easily stored via gelatin capsules, a widely popular and highly effective method of distributing cannabinoids. Gelatin oil capsules are so simple and easy to make at home that the ingredients can be purchased from just about any pharmacy or online, making the process of infusing capsules at home a relatively simple DIY project. Ease of use may be one of the most under-appreciated benefits of coconut oil in making infused products. Aside from the fact that you can purchase coconut oil relatively inexpensively from just about anywhere, the process of decarboxylating and infusing cannabis into coconut oil requires only a few simple ingredients and can be done at home with minimal effort. The end product is tasty, versatile, and, if stored properly, can last a very long time without degrading. Expect to see coconut oil remain a staple in future cannabis infusions across the market. As major brands continue to innovate, coconut oil should thrive on the ingredient lists of more products to come. If, however, you don’t have access to a dispensary near you or want to try a fun DIY with your own material, you can always make your own at home. Trust us, you’ll go coconuts for this stuff! 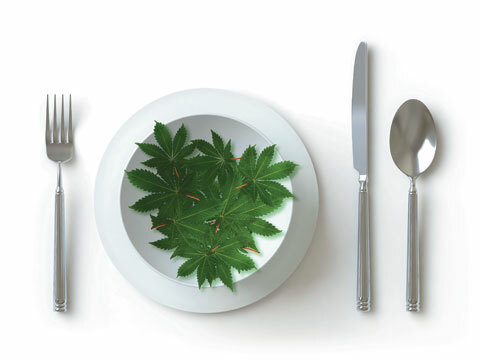 Get Your Medical Marijuana Card Online and cook with no stress!